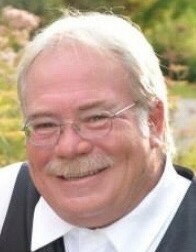 William C.”Bill” Cloe Sr., 59, of 13202 State Rt. 3, Sackets Harbor, passed away January 11, 2019 at his home. He was born on March 8, 1959 in Watertown, NY, son of Charles and Margaret (Nyhan) Cloe. Bill graduated from Carthage Central High School. He married Bobbi Ann Camidge on August 25, 1979, in the Woolworth Memorial United Methodist Church, Great Bend. After their marriage, the couple lived in Watertown for a year before moving to Black River. In 1989, they built their home on Martin Street Road, where they lived for several years. Bill was an auto body technician at Parkview Auto, Fuccillo Imports and Deal Maker, retiring in 2002 because of health issues. He enjoyed hunting, fishing, camping and spending time with his grandchildren. Among his survivors are two sons, William C. Cloe II and his companion Natasha Grove, Carthage, Joshua J. Cloe and his partner Jeff Kosakowski, PA, his daughter, Tory L. Cloe and her companion, Alex Rodriguez, Watertown, a daughter in law, Mary Cloe, Carthage, five grandchildren, Chase, Ryan, Gavin, Cato and Carter; three sisters and a brother in law, Frances House, NC, Linda Rogers, Watertown, Cindy and Thomas Ossola, Watertown, his aunt, Mary Boileau, VA, mother in law, Doris Stevens, Carthage, many nieces and nephews. Besides his parents, his wife Bobbi Ann Cloe passed January 14, 2001, a brother Richard Cloe and a sister Donna Cloe predeceased him. Calling hours will be 5 to 7 p.m. Tuesday, January 15 at the Bruce Funeral Home 131 Maple St., Black River. The funeral service will be held Tuesday 7 p.m. at the funeral home. Burial will be in Sunnyside Cemetery in the spring.